Cape Town - Three South Africans have earned their 2018 European Tour cards after the Qualifying School Final Stage at Lumine Golf Club in Spain. 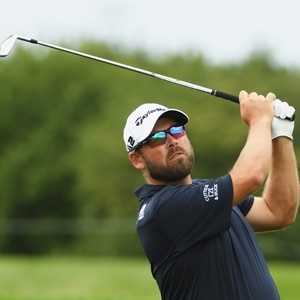 Justin Walters regained his European Tour card on Thursday at the last possible moment after an eagle at the final hole. He joined compatriots Christiaan Bezuidenhout and Jacques Kruyswijk as South African representatives among the 33 players who gained playing privileges for the 2018 European Tour season. According to the Sunshine Tour website, Walters was outside the projected score for players to gain qualification, but his 18th hole eagle lifted him back into contention for one of those precious spots. Walters finished outside the top 100 players on the 2017 Race to Dubai who retained their playing privileges for 2018, which meant the only way back was through Qualifying School. Bezuidenhout's fate was also touch-and-go for a while during the six-round qualifier, but he eventually finished on 13-under for a share of 25th. There were no such difficulties however for Kruyswijk. He finished in a tie for second place overall on 19-under par. Anthony Michael, Bryce Easton, Hennie Otto and Anton Haig all failed in their attempts to obtain a sought-after European Tour card for next season. Congrats to SA’s @jakesgolf62, @jwaltersgolf and former member of the Ernie Els & Fancourt Foundation @BezChristiaan, all getting their @EuropeanTour 2018 cards @ETQSchool this week. Great playing boys in a tough week. Big congrats to @jakesgolf62 @jwaltersgolf @BezChristiaan on getting their cards @ETQSchool ???????????? "I need to go and get myself a drink!"